پورفرح آبادی, الهه, خیاط خلقی, مجید, محمدی, کوروش. (1393). کنترل آلودگی نیترات در آب زیرزمینی با استفاده از مدل بهینه‌سازی. مجله آب و فاضلاب, 25(4), 13-20. الهه پورفرح آبادی; مجید خیاط خلقی; کوروش محمدی. "کنترل آلودگی نیترات در آب زیرزمینی با استفاده از مدل بهینه‌سازی". مجله آب و فاضلاب, 25, 4, 1393, 13-20. پورفرح آبادی, الهه, خیاط خلقی, مجید, محمدی, کوروش. (1393). 'کنترل آلودگی نیترات در آب زیرزمینی با استفاده از مدل بهینه‌سازی', مجله آب و فاضلاب, 25(4), pp. 13-20. پورفرح آبادی, الهه, خیاط خلقی, مجید, محمدی, کوروش. کنترل آلودگی نیترات در آب زیرزمینی با استفاده از مدل بهینه‌سازی. مجله آب و فاضلاب, 1393; 25(4): 13-20. نیترات یکی از مهم‌ترین آلاینده‌هایی است که از منابع مختلف مانند کودهای شیمیایی، آفت‌کش‌ها و یا فاضلاب‌های خانگی و صنعتی وارد آب‌های زیرزمینی می‌شود. در این پژوهش به‌منظور مدیریت بهینه آبخوان‌های آلوده به نیترات، از مدل شبکه عصبی مصنوعی برای شبیه‌سازی تغییرات غلظت نیترات استفاده شد و به‌منظور استخراج مقادیر بهینه برداشت از آبخوان آب زیرزمینی، با حفظ محدودیت غلظت نیترات در حد استاندارد، از یک مدل بهینه‌ساز استفاده شد. برای دستیابی به این هدف از مدل‌ بهینه‌سازی مجموعه ذرات بهره گرفته شد. با توجه به این که در سال‌های اخیر، آلودگی غلظت نیترات در آبخوان کرج افزایش یافته است، بخشی از این آبخوان به‌عنوان مطالعه موردی در نظر گرفته شد. پارامترهای ورودی مدل شبکه عصبی مصنوعی، شامل میزان برداشت در طول فصل بررسی و فصل قبل، مقادیر غلظت نیترات در فصل قبل، ضخامت لایه اشباع و طول و عرض جغرافیایی هر ناحیه بود؛ این پارامترها پس از آنالیز حساسیت، انتخاب شدند. نتایج این پژوهش نشان می‌دهد که بر اساس الگوریتم بهینه‌سازی مجموعه ذرات، مدیریت بهینه غلظت نیترات، مستلزم کاهش و یا افزایش برداشت از نواحی مختلف نسبت به شرایط فعلی برداشت در منطقه است. لذا با ثابت نگه داشتن کل برداشت از محدوده و با اندکی تغییرات منطقه‌ای در میزان برداشت در آبخوان آلوده کرج، می‌توان از افزایش غلظت نیترات در نواحی بحرانی جلوگیری نمود. Nitrate is one of the most important groundwater pollutants with such different sources as chemical fertilizers, pesticides, or domestic and industrial wastewater. In this research, the optimal operation of groundwater wells in aquifers with nitrate pollution is investigated using simulation and optimization techniques. For the simulation part, an artificial neural network (ANN) model is developed, and for the optimization model, the particle swarm optimization (PSO) is used. Considering the high nitrate concentration in Karaj area and its increase in recent years, the northern part of this aquifer is selected as a case study to apply the proposed methodology. A seasonal ANN model is developed with input layers including well discharge in the current and previous seasons, nitrate concentration in the previous season, aquifer thickness, and well coordinates, all selected based on sensitivity analysis. The results of PSO algorithm shows that nitrate concentration can be controlled by increasing or decreasing well discharge in different zones. Therefore, it is possible to reduce nitrate concentration in critical areas by changing the spatial distribution of groundwater extractions in different zones keeping the total discharge constant. 1. World Health Organization. (2007). Guidelines for drinking water quality, Vol 1, recommendations, 3rd Ed., WHO, Geneva. 4. Lee, S.M., Min, K.D., Woo, N.C., Kin, Y.J., and Ahn, C.H. (2003). “Statistical models for the assessment of nitrate contamination in urban groundwater using GIS.” J. Environmental Geology, 44, 210-221. 5. Almasri, M.N., and Kaluarachchi, J. (2004). “Multi-criteria decision analysis for the optimal management of nitrate contamination of aquifers.” J. Environmental Management, 74(4), 365-381. 7. Rogers, L. L., and Dowla, F. U. (1994). ”Optimization of groundwater remediation using artificial neural networks and parallel solute transport modeling.” J. 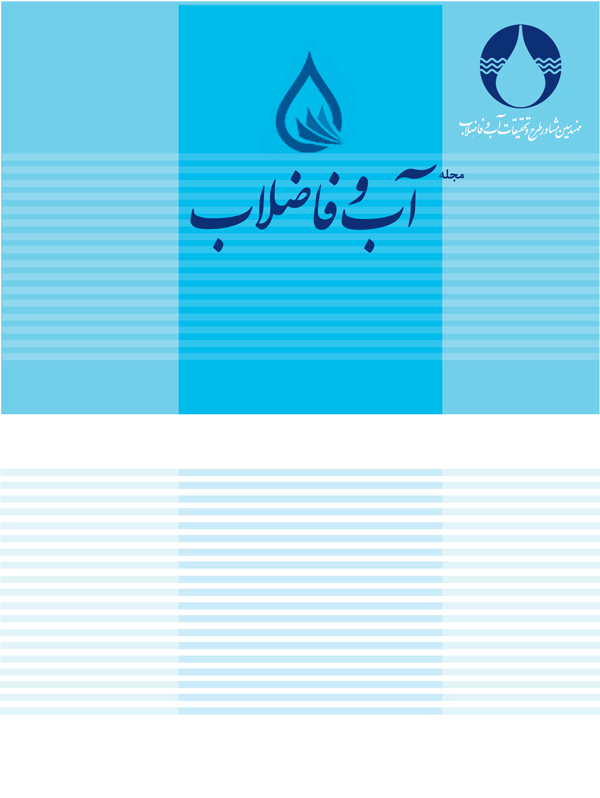 Water Resources, 30(2), 457-481. 8. Wang, M., and Zheng, C. (1998). “Groundwater management optimization using genetic algorithms and simulated annealing formulation and comparison.” J. Water Resources, 34(3), 519-530. 9. Ramasamy, N., Krishnan, P., Bernard, J.C., and Ritter, W. F. (2003). “Modeling nitrate concentration in groundwater using regression and neural networks.” Department of Food and Resource Economics, University of Delaware, New York. 10. Yesilnacar, M.I., Sahinkaya, E., Naz, M., and Ozkaya, B. (2008).“Neural network prediction of nitrate in groundwater of Harran Plain, Turkey.” J. Environmental Geology, 56, 19-25. 12. Moashrei, S.A., Tabatabaie, S.M., Razaghi, P., Sarani, N., and Eslami Mahdi Abadi, S.H. (2012). “Estimating the groundwater nitrate by using artificial neural network and optimizing it by genetic algorithm.” Proc. Environment and Civil Engineering, Kuala Lumpur, Malaysia, 85-92. 13. Zare Abyaneh, H., Bayat Varkeshi, M., Akhavan, S., and Mohammadi, M. (2011). “Estimation of nitrate in hamedan-bahar plain groundwater using artificial neural network and effect of data resolution on prediction accuracy.” J. Environmetal Studies, 37(58), 129-140. 14. Tapoglou, E., Trichakis, I.C., Dokou, Z., and Karatzas, G.P. (2012). “Groundwater level forecasting using an artificial neural network trained with particle swarm optimization.” Proc. Geophysical Research, Brono-kreisky-platzl, Vienna, Austria, 2405. 15. Kennedy, J., and Eberhart, R. C. (1998). “Particle swarm optimization.” Proc. Neural Network, Piscataway, Perth. Australia, 1942-1948. 17. Parsopoulos, K.E., and Vrahatis, M.N. (2002). “Recent approaches to global optimization problems through particle swarm optimization.” J. Natural Computing, 1(2-3), 235-306. 18. Tang, Y., and Guan, X. (2007). “Parameter estimation for time-delay chaostic system by particle swarm optimization.” J. Chaos, Solitons and Fractals, 44, 198-207. 19. Redondo, M.F., and Espinosa, C.H. (1999). “Input selection by multilayer feed forward trained networks.” Proc. Neural Netwoks, Washington, DC., 3, 1834-1839. 20. Utans, J., Moody, J., Rehfuss, S., and Siegelmann, H. (1995). “Input variable selection for neural networks: Application to prediction the U.S Business cycle.” Proc. Computational Intelligence for Financial Engineering, New York, 118-122.